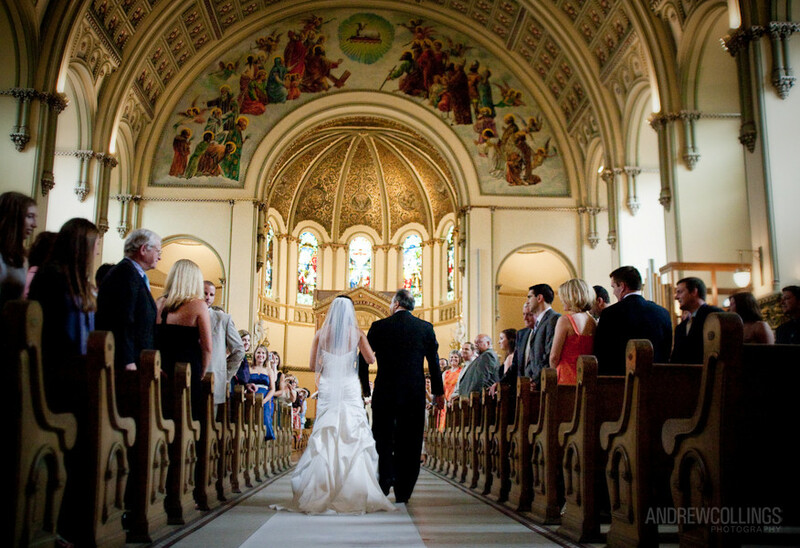 Wedding photograph taken at St. Josaphat Church in Chicago, IL. Photography by Andrew Collings Photography, Inc. August 1, 2009. A mature decision to marry is not something you arrive at on the spur of the moment. The experience of the Church would suggest that marriages which take place at short notice, or at a very young age, may not be based on a mature decision, and may there­fore be more at risk. For this reason, it is required that each person being married should notify his / her local priest (i.e., in the parish where you are currently resident) at least three months before the marriage. To get married in a Church in the Archdiocese of Tuam a person must be 18 years of age or over on the date of the wedding. Details with regard to the Civil Registration can be obtained on www.groireland.ie. Galway: 25, Newcastle Road 091 546277. •	preparation is about gathering information about married life which will help you to make the big decision, and all the other decisions which follow from that. •	preparation is also about assessing your own personal readiness for marriage, and the maturity of your relationship. Nobody else can prepare you, but various people can help, including family members, friends, and the priest of your parish. It is the responsibility of the Church to assist people in preparing for the Sacraments. We do not normally contract this responsibility out to commercial agencies. Where the Sacrament of Marriage is concerned, Accord is our own diocesan agency and is entrusted with the mission of assisting couples who are preparing for the Sacrament of Marriage. They do this in partnership with the priests who will also meet each couple individually to support them in deepening their understanding of the Sacrament and preparing the liturgical celebration. Needless to say, if couples wish to do another course in addition to the above, they are free to do so. There is so much preparation for the day itself, that a little more preparation for a lifetime of commitment would not go astray. For further information see http://www.accord.ie/services/marriage-preparation and select by region. Catholic Marriage Care Service, is an Agency of the Irish Catholic Bishops’ Conference.  It has centres located throughout the dioceses of Ireland. Its ministry is primarily concerned with supporting the sacrament of marriage by helping couples as they prepare for marriage and offering support to them in their marriage relationship. ACCORD’s aim is to promote a better understanding of Christian marriage and to help couples initiate, sustain and enrich their commitment to one another and to family life. ACCORD’s core services include Marriage Preparation, Marriage Counselling and Relationship and Sexuality Education (RSE) though its Schools Programmes. For further information phone your local ACCORD Centre, or ACCORD Central Office, or visit www.accord.ie. Your priest will guide you through the preparation of the documentation required for your marriage in the Catholic Church. •	a statement of your intent to marry in accor­dance with the Christian vision of marriage. A letter of freedom is required from the parishes you have lived in. A sworn affidavit or statutory declaration of freedom to marry is acceptable also. As a general principle the person responsible is the priest or deacon in your present parish of residence. If this is outside of Ireland, the papers, once prepared are forwarded to the Bishop of the Diocese in which you are living, who checks them, and sends them to: The Chancellor, Archbishop’s House, Tuam, Co. Galway, where they will be checked before being sent on to the parish where the marriage is to be celebrated. This process can take some time, so it is advisable to begin no later than three months before the marriage. A very useful book to help couples preparing the marriage ceremony is A Wedding of Your Own by Padraic McCarthy, (Veritas Publications). It contains a wide selection of Scripture read­ings, as well as the alternative forms for the exchange of con­sent, and the other variable parts of the ceremony. The web site www.gettingmarried.ie includes similar information, and offers you a tool for designing your marriage booklet. Your marriage is a commitment to one another. Since you are marrying as Christians, it is also a renewal of your Christian commitment. (It may be your first formal Christian commitment as an adult). The Sacrament of Reconciliation (Confession) is an acknowledgement of our human weakness, and a celebration of God’s forgiveness. It is very much the Sacrament of new beginnings, and we encourage you to make it part of your preparation for marriage. In the event that a visiting priest celebrates the marriage, any offer­ing you make to him is a separate matter, for your own discretion. Other fees (e.g. ; organist, singer, florist, photographer etc.) have nothing to do with the parish and are arranged directly by you.